Last month I shared ideas on how to prepare for Math Awareness Month. That blog contains several of my favorite resources for adding “spring” to math lessons. 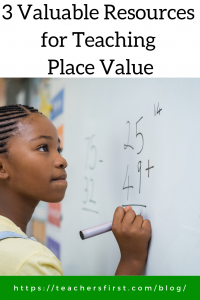 All of those resources include wonderful ideas and suggestions for teaching math, but this month I would like to focus on the concept of teaching place value. I have a particular reason for choosing this concept. A couple of weeks ago my granddaughter (2nd grader) came home with homework worksheets to practice subtraction with regrouping. At first, the problems involved regrouping with one number (72-58), then a couple of days later the problems involved taking away from the hundreds (300-65). Kaylie did great on the first type of problems; she whizzed along with borrowing from the tens and adding a ten to the one’s column. The second set of homework became a much bigger challenge, and it was apparent to me that she was being taught only procedures without an understanding of place value and the knowledge of what she was trying to solve. Situations like this are where I believe that we lose students’ enjoyment of math; they become frustrated because the math becomes a rote procedure instead of an exciting and creative exploration of numbers. The student who understands and appreciates numbers at the youngest age takes on a problem such as 300-65 with an alternative approach. Perhaps they know to break apart the 300 into smaller pieces then subtract, count up from 65, or work with the smaller numbers of 60 and 5 to remove them from the 300. Sometimes math is messy, and that’s O.K. Students learn from exploration and their mistakes, we need to allow them the opportunity to immerse themselves in numbers and an understanding of place value to build that solid math foundation for more difficult concepts. Build Math Minds Blog – written by Christina Tondevald, a former middle school math teacher who considers herself to be a recovering traditionalist with a focus on teaching math through conceptual understanding. In addition to her blog, Christina also has a YouTube channel with many helpful videos focused on number sense and place value. 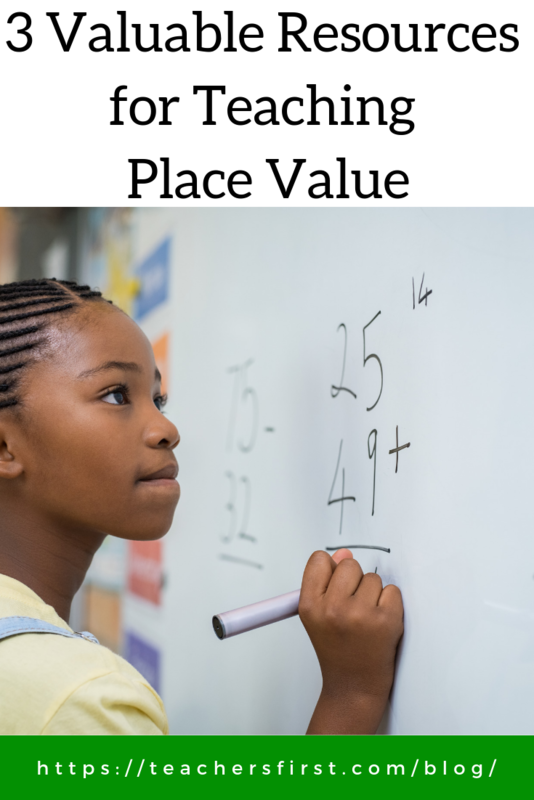 Take a look at this post spelling out the importance of understanding place value when subtracting. Math Solutions (TeachersFirst review) – I have mentioned Math Solutions in previous posts as an excellent resource for math lessons. The Game of 10’s and 1’s – using a special die, two 0-99 number charts, and markers students play a game where they calculate about 20-30 subtraction and addition problems. As you read the teacher’s description of her student activities, notice the opportunities found within this game to promote discussion of numbers and for assessment of students’ understanding of numbers and place value. Digit Place – this is a game where students use reasoning and questions to find a secret number chosen by their partner. Although relatively simple, it provides practice for students in working with place value. Once students master the two-digit version, try with 3-digits. Place Value Assessment – based on an observation that worksheet assessments didn’t provide a valid understanding of student place value knowledge, this assessment contains directions for short interviews with students to determine their knowledge of place value in the ones and tens place. The short videos on this page demonstrate typical student answers showing both knowledge and misunderstanding of the concept. At the end of the article, there are suggested resources for lessons and intervention activities. TeachersFirst Numbers and Operations Special Topic Pages – the editors at TeachersFirst created collections of the best free resources for teaching numbers and operations at all grade levels. These resources include game sites, lesson activities, videos, and more. Whatever your teaching style and philosophy is, perhaps we can all agree to always reflect upon how we teach content and work toward making math enjoyable for our students. One way to do that is to allow them to explore, let them be wrong and learn from mistakes, and provide appropriate support and structure for learning basic math concepts. Do you have a favorite place value lesson? We’d love to hear from you. Share your ideas with our learning community in the comments.